The Tri-City Storm rebounded from Friday evening's 4-3 OT loss in Lincoln with a 4-3 regulation win over the Stars at the Viaero Event Center in Kearney, NE on Saturday night. With the loss, the Stars fell to 1-4-0 in five preseason games. I did not attend this game, nor was I around a computer to watch the live stream that the Tri-City Storm provided on their website. So because of that, this "recap" will be very brief. I'm hoping some Stars fans who were in attendance last night will leave a comment or two at the end of this article. Click here to read a recap article from the Tri-City Storm website. Lincoln goals in this game came from Miguel Fidler (first period), Michael Gillespie (second period), and Patrick Polino (third period). Gillespie finished as Lincoln's top point producer with two points (1g, 1a). Polino's third period goal with only 8:07 remaining tied the contest at 3-3, but Storm forward Chris Wilkie scored the eventual game winning goal less than a minute later at the 12:49 mark to complete the scoring. Shots on goal were 43-30 in favor of Tri-City. This was the second time this preseason that the Stars have given up more than 40 shots on goal in a game. Tri-City went 1-for-3 on the powerplay while Lincoln went 0-for-3. Stars goaltender Peyton Jones played the entire game and stopped 39 of 43 shots on goal. 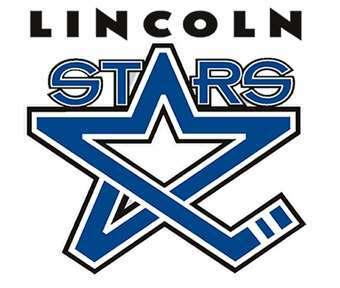 Next up for the Stars will be a Tuesday night tilt at the IceBox in Lincoln against the Sioux City Musketeers. The Muskies recently traveled to Russia to represent the USHL at the 2014 Junior Club World Cup where they won the bronze medal. The Musketeers are a very good team with quality depth at each position. In my opinion, I think they could end up being the top team in the USHL western conference this upcoming season. So this game coming up on Tuesday will be a very good test for the Stars. I'll write more about that matchup in an article that will post Monday evening. I was at the game last night. I thought the Storm were in control for most of the sixty minutes. I know it's early but I'm worried that Lincoln isn't big enough at defense. Lots of skill but not a lot of size. I'm not a big believer of small defensemen.